Martha's Vineyard showed resiliency throughout their first round state tournament game, but time ran out as they attempted to battle back from a two-goal third period deficit. Algonquin proved themselves to be a strong and experienced group, but the Vineyard used strong goaltending, good team defense and team character to hang in until the final buzzer finally signaled the end of their season. Seniors Callie Jackson, Alex Clark and Haven Huck pitched in for the unfortunate loss of senior co-captain Emily Hammett to provide solid examples for their teammates, and again reinforced what they meant to the program for the last four seasons. Jackson'g goal in the second period (assisted by Alex Clark) cut the Algonquin lead to 2-1. A late second period tally from the visitors could have deflated the Vineyarders, but a strong second half of the third period created drama at the Martha's Vineyard Arena. Junior Sydney Davies knocked in a rebound of a Kylie Hatt point shot, and the Vineyard had renewed life down only 3-2. The last four minutes showed the teams determination, as they bore down in an attempt to send the game into overtime. Two glorious chances in the last two minutes were denied by the Algonquin netminder, and time eventually ran out on the home team. Martha's Vineyard holds their collective heads up high after another wonderful season. The seniors leave with a legacy of 40 wins, three consecutive state tournament appearances and the understanding that they helped build Martha's Vineyard girl's hockey into a respectful winter fixture for the island to be proud of. Marshfield 4, Martha's Vineyard 3 (February 20, 2014) Marshfield put a damper on the Vineyard's senior day festivities, with two goals in the last five minutes, including the game winner with just over 30 seconds remaining. With the victory, the Rams handed Martha's Vineyard their first league loss of the season. Despite the setback, the Vineyard earns first place in the SEMGHL Southeast Division, with a 8-1-1 mark, and gets ready for the 2014 State Tournament with a 10-6-3 overall record. Seniors Haven Huck, Alex Clark, Emily Hammett and Callie Jackson were honored before the game. Each made a huge contribution to the team this year, and the girl's program over the last four years. Hammett earned the Vineyard's first goal of the afternoon against Marshfield, and Huck was credited with a helper in the third period. Olivia Ogden recorded her first varsity goal to tie things at 2-2 just over five minutes into the third period. Junior defenseman Erin Hegarty followed less then two minutes later to pace the Vineyard to a 3-2 lead. A Vineyard penalty set up Marshfield's tying tally, and the Rams got the game-winner in the last minute. One week after dropping a game on the road to King Philip, Martha's Vineyard played a solid home game to earn a 3-3 tie on Presidents Day. Aubrey Ashmun gave the Vineyard a 3-2 lead with her 20th goal of the season late in the second period, but a 5-on-3 power play goal from the Warrior's Haley Anchukaitis tied the game just under five minutes into the final period. Sydney Davies put the Vineyard on the board first early in the opening period as Martha's Vineyard came out strong. Despite carrying much of the play, the Vineyard found themselves even after the first 15 minutes thanks to a late first period King Philip power play goal. The Warriors opened the scoring in the second, but Callie Jackson tallied a goal from the high slot to knot things at 2-2. The Vineyard can take some solace in holding the state's second leading goal scorer Danielle Hamilton off the score board. 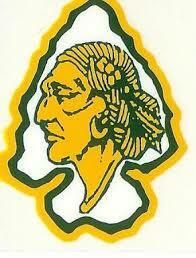 Hamilton lit up the Vineyarders last week, scoring all four of her teams goals in the King Philip 4-3 victory. Martha's Vineyard was proud to wear their special jersey's in appreciation of the effort to raise money and bring awareness to the Wounded Warrior Project. The team would like to thank Coach Matt Mincone for organizing the fundraising drive, and including the girls program in the effort. As always, the Vineyard community came through in a big way. If you still want to contribute please visit the special link set up for the Martha's Vineyard community. Maggie Layo and Claire Gauthier proved why they are in the top-10 in the state in scoring with dominant performances in their team's 8-3 victory over the visiting Vineyarders at Gallo Arena. Layo tallied two goals and five assists, while linemate Gauthier had a hatrick and two helpers to pace the high scoring Blue Knights. After falling behind 3-0, Aubrey Ashmun got her team on the board late in the first period. Down 4-1 in the second, Ashmun finished off a feed from Sydney Davies and Alex Clark to again cut the Sandwich deficit to two goals. A late Sandwich goal in the second effectively sealed the victory, but Callie Jackson scored in the third for the Vineyarders final goal of the afternoon. Martha's Vineyard returns home for their final three contests of the season beginning Saturday with a 1pm puck drop against Quincy/North Quincy. Senior Danielle Hamilton scored four goals for King Philip to keep their tournament hopes alive in their one-goal victory against the visiting Vineyarders. Hamilton scored two goals early, before Aubrey Ashmun put the Vineyard on the scoreboard half way through the first. Emily Hammett evened things at 2-2 soon after, but Hamilton lit the lamp again before the first period ended giving King Philip a 3-2 lead after the opening 15-minutes of play. Martha's Vineyard controlled much of the second period, but was unable to tie the game, and both teams entered the third with a victory in their sights. Hamilton scored her final goal of the evening to post her team to a two-goal advantage, but Ashmun's second of the afternoon with just over three minutes left cut the deficit back to one. Martha's Vineyard pulled Jackie Hegarty in the last minute, but they were unable to find the equalizer. The Vineyard played a spirited first period, scoring twice to take a 2-0 lead. 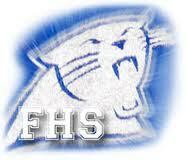 But Franklin was able to turn the momentum in the second, scoring two of their own to tie things at 2-2. The third period was a back and forth affair, but the visiting Panthers were able to score the period's only goal en route to a 3-2 victory at Martha's Vineyard Arena. Good defensive zone work, and a solid breakout set up Martha's Vineyards first goal of the afternoon. Haven Huck found Callie Jackson to begin the breakout, and Jackson was able to chip it up ice to a streaking Sydney Davies. The junior wing beat the Franklin netminder, and the Vineyard was posted to a 1-0 lead. With just over five minutes left in the opening period, Jackson scored her 17th goal of the season to put her team up 2-0. Two penalties in the middle stanza put the Vineyard on their heels, and Franklin was able to seize the momentum. Two goals within three minutes of each other, knotted things at 2-2, and set up the final period. Franklin was able to score just under five minutes into the final period. A hard backcheck from Franklin standout Alex Mitchell prevented a Vineyard scoring chance at one end, and then she was rewarded with the goal on the subsequent rush at the other end. Despite many glorious scoring chances after the Mitchell tally, the Vineyard was unable to find the back of the net for the tieing goal. The loss drops Martha's Vineyard to 10-3-2 on the season, and gets them ready for their third game in three days Sunday at King Philip. 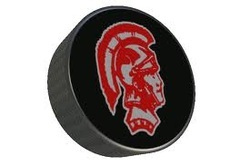 Five goals in the first period, carried the Vineyarders to a commanding lead, and all 17 skaters contributed to the team dominance of the visiting Spartans on Friday afternoon at the Arena. Seniors Callie Jackson and Emily Hammett had two goal apiece to pace the offense. Kiara Vought tallied in the second period for her varsity goal, and Erin Hegarty lit the lamp for the first time in her career in the third, as Martha's Vineyard began a busy stretch of games with their tenth win of the season. Seven different Vineyarders found the back of the net, and Martha's Vineyard followed up their thrilling victory over D-Y, with a dominant performance on Saturday at Martha's Vineyard Arena. With the win, Martha's Vineyard punched their ticket to the 2014 state tournament for the third consecutive season. It was only fitting that the four seniors filled up the scoresheet. Alex Clark got things started less then a minute into the contest. Clark finished with two goals and two assists. Callie Jackson (two goals and one assist) notched the next Vineyard tally, Emily Hammett (one goal and two assists) scored late in the first, and Haven Huck finished the game with three assists. 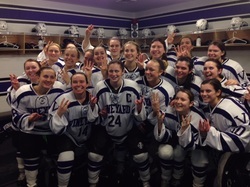 Sophomore Meg Burke and freshman Julia Levesque scored their first varsity goals in the third period, and all 17 positional players had ample time to join in the game victory that enabled Martha's Vineyard to celebrate the ultimate team accomplishment. In arguably the biggest regular season game in program history, Martha's Vineyard earned a hard fought league victory at Tony Kent Arena. The win lifted the team's record to 8-2-2 overall, but more importantly, broke a tie atop the SEMGHL Southeast Division. Martha's Vineyard's league record rises to 6-0-1, and the Dolphins drop to 5-1-1. D-Y jumped out in front, 5:04 into the opening period. A neutral zone turnover sent Kristina Chererie in all alone, and she beat Vineyard netminder Julia Bettencourt. Martha's Vineyard settled down after the goal, and gained the equalizer with 4:52 left in the stanza. Aubrey Ashmun and Olivia Ogden setup junior Sydney Davies, and the Vineyard entered the first period locker room tied at 1-1. Ashmun paced Martha's Vineyard to a 2-1 advantage 1:27 into the second period, but Chererie answered right back for the Dolphins just 48 seconds later. Despite being beaten for the equalizer, Bettencourt played the best hockey of her young career in the middle period. She turned away eight Dolphin shots, several in spectacular fashion. With things tied at 2-2, and first place in the division up for grabs, Martha's Vineyard played a quality third period. A pretty rush started by Emily Hammett set up the go ahead goal. Hammett found Davies who gained the offensive zone, before dropping the puck to Callie Jackson. Jackson's quick shot was low and hard, and the Dolphin goalie was unable to control the rebound. Davies crashed the net, and pounded home the rebound, to give Martha's Vineyard the 3-2 lead. The team played solid hockey the rest of the way, limiting the Dolphins to few opportunities, and the final horn sounded signaling the Martha's Vineyard victory. The Vineyarders return to the ice less then 24 hours later, when they host Nauset at Martha's Vineyard Arena. With a win, Martha's Vineyard qualifies for a spot in the state tournament for the third consecutive season. The JV team proceeds the varsity at 11:30am, and the annual auction is at the Ocean View Saturday night. After a sluggish start, the Vineyard took care of business with a 5-3 victory on the road. The win lifts Martha's Vineyard's record to 7-2-2 overall, and sets the stage for a big showdown with league rival Dennis-Yarmouth Friday. Two Quincy goals less then ten minutes into the contest threatened to derail the Vineyard, but the team regrouped before the end of the period, and pulled away late. Sydney Davies got Martha's Vineyard within one late in the opening period, burying a loose puck in front of the Quincy cage. Aubrey Ashmun tied things at 2-2 early in the second, before Quincy beat Jackie Hegarty to briefly regain the lead. Callie Jackson evened things at 3-3 with a quick release in the high slot, and both teams entered the final stanza tied, but the Vineyard carrying the play. Sophomore Belle Dinning completed her best varsity game with two third period tallies to lead Martha's Vineyard to victory. A Dinning goal early, and one late, staked the Vineyard to a two-goal lead, and Hegarty made the advantage stand up. Martha's Vineyard travels to venerable Tony Kent Arena Friday for their rematch with Dennis-Yarmouth. Both teams enter the contest tied for the SEMGHL Southeast lead with 5-0-1 records. The teams skated to a 2-2 draw in early January, and the game will go a long way to deciding the league crown. A strong first period set the tone for the Vineyard, and they survived a relatively quiet final two periods to defeat league foe Bourne 4-1 at Martha's Vineyard Arena on Saturday. Martha's Vineyard commanded play over the first 15 minutes. A strong forecheck, good decisions in the neutral zone and resilient back-checking led to the dominance that was finally rewarded when Aubrey Ashmun went hard to the net to bang home the rebound of a Sydney Davis shot with 20-seconds left in the opening period. The second and third periods proved a different story for the Vineyard. While they outscored Bourne 3-1, they abandoned many of the dominating traits they displayed in the opening period. Callie Jackson tallied a second period goal, and Ashmun netted her second of the contest early in the final period. The highlight of the afternoon came courtesy of a Alex Clark goal midway through the final stanza. The senior finished in front of the Canalman cage after senior Haven Huck and Ashmun combined to work the puck to the front of the net. The final horn sounded, and the first half of the 2013-2014 season was in the books. 6-2-2 (5-0-1 SEMGHL) after ten games with much promise showed by the Vineyard varsity. Saturday's first period showed what the team is capable of, but much work lies ahead as the team prepares for the second half. Wednesday the team travels to Quincy for a non-league tilt, and then hits the road again Friday for a big league game against Dennis-Yarmouth. Adversity for a sports team can come in many forms. Playing a great game and losing, and then having to play in a a seemingly meaningless consolation game. Allowing a goal six seconds into a game. Responding from that goal and playing well, only to found yourself trailing by two goals in the third period. All these things happening within a 12-hour span would force most teams to fold up their tents for the weeknd. However, the Vineyard overcame all this adversity to rally for a 4-4 tie with an improved Peabody team. Callie Jackson answered the Tanners opening goal, with a goal just 12 seconds later to tie Sunday's contest at 1-1. Belle Dinning put Martha's Vineyard on top with her second of the season to pace the Vineyarders to a 2-1 first period lead. The second period saw a parade to the penalty box, and Peabody was able to retake the lead with two goals in the span of less then two minutes half way through the frame. Despite spirited play, and another large shot advantage, Martha's Vineyard entered the locker room knowing they would have to dig even deeper in the final stanza. A quick Peabody tally looked to signal that this might be a lost weekend for the team. However, Sydney Davies quickly got one back. Martha's Vineyard carried the play from there, before Kylie Hatt's wrister from the point deflected off a Peabody defenseman to tie the contest at 4-4. It was a huge goal in so many ways for Martha's Vineyard. It was Hatt's first of your young career, and it proved that the Vineyard could maintain their commitment and overcome adversity. Alice Keenan's goal in the waning moments of Sunday's contest vaulted Martha's Vineyard to a hard fought victory at the Arena. Keenan worked hard in front of the Sailors cage and finished off a play that broke a 1-1 deadlock. Lee Heyman got her second goal in as many days to give the Vineyarders their first goal of the morning. Julia Bettencourt stood tall in net to preserve the victory. The win was the teams' second of the season, and all the players continued to show signs of improvement. The team gets ready for a return encounter with Scituate on Tuesday at Pilgim Arena. The Vineyard came out hot, sustained their intense play for much of the evening, but a hot Sailors goalie stole the show in Scituate's 3-1 opening round victory of the 13th annual Nan Rheault Tournament. Emily Hammett and Callie Jackson combined to help Aubrey Ashmun score 16-seconds into the game to pace the Vineyard to a quick 1-0 lead. Despite a 12-3 first period shot advantage, the Vineyarders couldn't figure out Scituate senior goalie Hannah McLoughlin again. While Scituate found their legs in the second, the Vineyard carried much of the play. With Scituate up a player, and six seconds left on the penalty, the Sailors were able to find a loose puck and tie the score with less then five minutes left in the middle period. The third period saw Martha's Vineyard continue their onslaught on McLoughlin and the Scituate cage. A large shot advantage (35-15 for the game) didn't matter as the SEMGHL All-Star kept the Vineyard off the board. Two Scituate goals half way through the period were enough to give the Sailors the victory, and a place in Sunday's final game against Medway. Sports are a wonderful part of life, but sometimes they can seem unfair. While the players were understandably upset by the outcome, they can hold their heads high knowing that they prepared well, played hard, and showed true character. The beauty of sport is that there is almost always another game, and another chance to keep improving. Julia Bettencourt stood tall in the Vineyard net, and the team played hard against a talented foe on Saturday afternoon at the Arena. Arianna Peters set up Lee Heyman to put the Vineyard on top at 1-0 in the first period. Heyman riffled a shot from the high slot to beat the Needham netminder. Alice Keenan and Emelia Cappelli joined Heyman on the Vineyard's top line, and they were an offensive threat most of the day. Bettencourt kept Needham at bay for most of the afternoon, but Needham tied things at 1-1, before scoring the game winner late in the third period. Mikayla Tinus and Shannon O'Connor were standouts on defense, but all the players helped defend Bettencourt and the Vineyard net. Martha's Vineyard continues at home when they host Scituate on Sunday at 9:30am. The Vineyard dominated from start to finish Wednesday at Charles Moore Arena to get back in the win column. A hat trick from Sydney Davies, single goals from Emily Hammett, Callie Jackson and Aubrey Ashmun paced the Martha's Vineyard to the league win that upped the team's overall record to 5-1-1. Despite Haven Huck's first career goal, the Vineyard dropped their first game of the season to old rival Scituate. The Sailors dominated from the start, getting two on the board in the first period. Huck got her teammates within one when she banged home a shot in the high slot area to cut Scituate's lead to 2-1. However, eight seconds later, the Sailors regained their two goal lead, and Scituate never looked back. Two more third period goals cemented the nonleague victory for Scituate, and sent the Vineyarders packing with their overall record 4-1-1. Nauset is next Wednesday for Martha's Vineyard, and then the team gets ready to host Scituate, Peabody and Medway in the annual Nan Rheault Tournament. Saturday the JV team kicks things off at 1:50pm when they host Needham, and then the varsity has a return engagement with Scituate at 8:00pm. Propelled by four goals from Sydney Davies, and a stellar team defensive effort, the Vineyarders defeated Bishop Stang 8-1 in a SEMGHL game at Martha's Vineyard Arena. Callie Jackson got Martha's Vineyard on the board just past the half way mark of the first period, then Davies scored two goals before the first period horn sounded to pace the Vineyard to a 3-0 lead. Two late second period tallies from Jackson and Aubrey Ashmun gave the Vineyard a 5-0 lead after two. Davies completed her hat trick on a sweet move in front of the Spartan cage, and then she batted home a rebound for her fourth with the Vineyard down a skater with just over five minutes left in the third. The win pushed the Vineyard record to 4-0-1 (3-0-1 in league play). Martha's Vineyard wastes little time getting back at it when they travel to Falmouth to take on old rival Scituate on Sunday. Aubrey Ashmun's power play goal with 1:08 left in the game helped the Vineyard earn a tie with league rival Dennis-Yarmouth on Saturday at the Arena. A game that saw a little of everything; up and down action, controversial calls, but most importantly, spirited efforts from both teams, ended in dramatic fashion. After a scoreless first period that saw sophomore netminder Jackie Hegarty play the best hockey of her young varsity career, Martha's Vineyard scored the first goal of the afternoon early in the second. Belle Dinning deposited a loose puck in the back of the net after Emily Hammett started the play at the offensive blue line. Callie Jackson received the puck from Hammett, and then got the puck to the front of the net where Dinning finished. The Dolphins evened things just 20-seconds later, and that's when things really got interesting. An apparent Vineyard goal that was missed by the officials, and then a phantom whistle with 11-seconds left in the period, which would have blown the play dead, allowed DY to take a 2-1 lead into the final stanza. The Vineyard played their best 15 minutes of the game in the third, and they were rewarded with a power play in the games final two minutes. Sydney Davies and Jackson worked the puck to Ashmun, who beat the Dolphin goalie over the left shoulder for the game knotting tally. With the tie, the Vineyard moves to 3-0-1 on the season (2-0-1 in SEMGHL play). Martha's Vineyard attempts to keep things rolling when they travel to Foxboro on Wednesday for a non-league tilt against a strong King Philip team. Martha's Vineyard completed the 2013 part of their 2013-2014 campaign undefeated after a 5-3 victory at the venerable Walter Brown Arena. Callie Jackson's first career hat trick propelled the Vineyard to the non-league win, and sent her teammates into the New Year on a high note. Aubrey Ashmun, with help from senior Alex Clark, got the Vineyard on the board just over four minutes into the contest, but a Brookline tally with ten seconds left in the opening frame tied things at 1-1. The Vineyard, as has been the case in the early season, came out with a strong second period effort. Jackson scored less then 30 seconds into the middle stanza. Ashmun and Jackson then scored two more quickies to post the Vineyard to a 4-1 lead. Kylie Hatt assisted on Jackson's second goal to record her first varsity point. Brookline got one back before the intermission, but Jackson's third goal of the afternoon on the first shift of the final period, gave Martha's Vineyard a commanding 5-2 lead. The Vineyarders are 3-0 for the first time in program history, but understand that the road gets much tougher in 2014. All thoughts will be directed on the teams first home game on January 4, when the Vineyarders get ready to host league rival Dennis Yarmouth. Martha's Vineyard traveled to Marshfield Friday with many goals in mind. Beating a league rival and securing their second consecutive victory to start the season was foremost in their thinking, but exorcising the ghosts of previous Hobomock Arena demons was clearly in the back of their minds. After three consecutive losing efforts at Marshfield, the Vineyard attained all their goals with a 5-3 SEMGHL win that kept their record perfect, beat the defending league champs, and allowed a victory for the first time on Hobomock Arena ice. Sydney Davies got things started for the Vineyarders for the second consecutive game just over four minutes into the contest. Her wrist shot from the right circle was the lone offensive bright spot for Martha's Vineyard as they were out shot 7-2 in the first stanza. Jackie Hegarty, and a good team defensive effort, kept the Rams off the scoreboard and allowed the Vineyard to escape with a 1-0 first period lead. Just under a minute after Marshfield tied things at 1-1 on a power play goal in the second period, Davies made a perfect pass to senior co-captain Callie Jackson to stake the Vineyard to a 2-1 lead. Aubrey Ashmun soon followed with a goal, and Jackson netted her second of the period to post the Vineyard to a 4-1 lead. Another Ashmun tally, assisted by Belle Dinning and Katrina Lakis (her first varsity point) early in the third, gave Martha's Vineyard a commanding four goal advantage. It was sweet justice for Jackson, who suffered a concussion last year at Marshfield, and the three other seniors who dropped their first three career games at Marshfield. With the win, the Vineyard raised their record to 2-0 on the season and 2-0 in the SEMGHL Southeast Division. A non-league game at Brookline is next on the schedule Monday at Walter Brown Arena, as the Vineyarders look to end 2013 on a high note. After two and a half weeks of waiting, the Vineyarders finally opened their 2013-2014 season on Wednesday at the Falmouth Arena. The wait was well worth it as Martha's Vineyard played a complete team game to earn a SEMGHL 5-1 victory against league rival Bourne. Sydney Davies' power play goal just over two minutes into the contest got things started for Martha's Vineyard, and they rolled from there. Jackie Hegarty posted the win in her first varsity start in net, and Martha's Vineyard heads to the holiday break with festive feelings. Aubrey Ashmun tallied two goals and an assist, Callie Jackson added a goal and and two assists and Emily Hammett had a goal and an assist to pace the team in a well balanced start to the season. Kiara Vought and Julia Levesque added their names to the scoresheet, earning their first varsity points. things they displayed in Falmouth.